Christine M. Wahl, M.A. Ed., MCC - Senior Consultant and Executive Coach - Innolect, Inc. | Innolect, Inc.
Chris Wahl is an ICF-certified MCC, Executive Leadership Coach, and Organization Development Consultant who has coached executive leaders and their teams for over two decades. Certified as a developmental coach, Chris brings a developmental perspective to her work with leaders, helping them build capacity to succeed beyond challenges and dynamics and recognize opportunities to create a thriving professional life. Sought after for her wise counsel, appreciative approach, clarity and pragmatism, Chris works with leaders interested in generating more effective results. Chris is the founder and creator of the Georgetown University Leadership Coaching Certificate program, where she teaches a course on coaching teams. She is adjunct faculty teaching adult development in Georgetown’s Transformational Leadership program and she coaches in Notre Dame’s Executive MBA program, using the Leadership Circle Profile 360 instrument. Chris’s Coaching Experience includes working with leaders and teams across the U.S., Canada, and in Europe. Her clients are typically high-level/C-suite leaders who have large mandates to create change, do more with less, and foster a working culture where employees thrive and achieve results. She works in numerous industries, including finance, technology, manufacturing, fashion retail, beauty, local and federal government, associations, and educational institutions. Examples of her clients over the years include Invesco, SunTrust Bank, Capital One, Coach, Inc., L’Oreal, Association of Fundraising Professionals, KLoveAir, Mitre, Bon Secours Health System, Eaton, Arlington Co. Government, U.S. Federal Government, Government of Canada, and SEC. Chris has an M.A.Ed. in Counseling from the George Washington University, and a B.A. in French and Psychology from the University of Tennessee. Post-graduate work includes studying two years with Dr. Otto Laske of the Interdevelopmental Institute as well as ten years with Dr. Susanne Cook-Greuter, both in the study of adult development. Chris is a master-certified coach through ICF, she is certified as a developmental coach, and she is certified to score and debrief the Maturity Assessment Profile (MAP). Chris works with the MBTI, the Hogan Suite, and the Leadership Circle Profile 360 and Culture Survey. Chris has developed numerous programs on the topic of adult development for coaches and leaders alike. She has also created in-house ICF-accredited coach training specific to the financial industry. She co-authored Be Your Own Coach, with Barbara Braham. 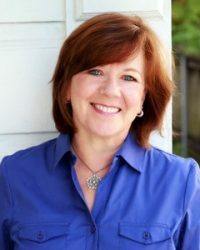 She has published articles in organization development in coaching magazines, has been interviewed on NPR and other radio programs, as well as for articles in the Washington Post and women’s magazines.